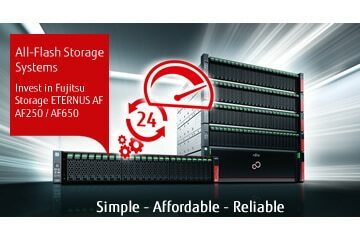 Fortuna Data partner with DataCore to provide SANsymphony software defined storage to businesses. DataCore SANsymphony software solves difficult storage-related challenges introduced by server and desktop virtualisation, cloud computing and more general expansion, business continuity, and disaster recovery initiatives. It creates an active, transparent virtualisation layer across disk storage devices to maximize the availability, performance and utilisation of datacentres large and small. 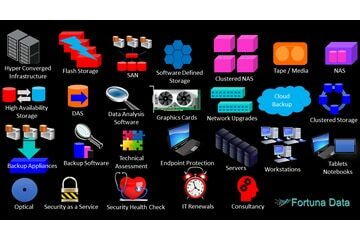 The integrated set of centrally-managed data protection (CDP), provisioning, caching, replication and migration functions operates uniformly over different models and brands, assimilating current and future equipment non-disruptively. You will find that DataCore SANsymphony software cost-effectively speeds up applications, delivers uninterrupted data access and extends the life of your tiered storage investments, while giving you peace of mind.